Parents, this one is for you! Learning math concepts can be tricky, even as an adult. Why not get kids off to a great start with some fun apps that teach and entertain while instilling lifelong skills that will help later on? Or maybe you just want your kids to spend some time with a game that isn't Angry Birds or Candy Crush Saga. Whatever the case may be, here are eight awesome math apps for kids to engender an early interest in math or just keep them ready to learn in the future. You never know when some quick math lessons are going to come in handy! Spy fantasies are universal, and which kid hasn't fancied themselves an international secret agent at one point? 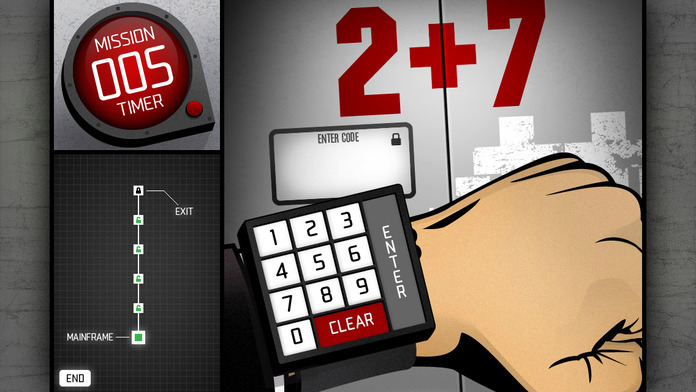 Operation Math puts kids in the shoes of a spy who's facing off against the evil Dr. Odd. You're outfitted with spy gear and new uniforms to help tackle each mission, which has you beating the clock while learning addition, subtraction, multiplication, and division in the bilnk of an eye. It's great for sharpening quick basic arithmetic skills in a way that makes you want to come back for more. But be careful -- you might end up stealing it away from your kids to play in your spare time. Taking math equations and turning them into a turn-based RPG? This is clearly the idea of the century. Medieval Math Battle takes math equations and forces you to solve equations to complete turns in battle as you fight off goblins, spiders, and even enormous dragons. Felling enemies earns new equipment such as potions and weapons and if you play for 15 minutes, you can rack up bonuses for playing each day. The base game is free, and you can purchase additional packs depending on what skill your child needs to develop as well, so it will grow with you, and that's an awesome feature no matter the app. Combining engaging gameplay with education is the hallmark of an excellent tool for teaching children, and Math Ninja HD does this very well. An evil tomato and his robotic army are invading your treehouse, and you, the math-powered ninja, need to keep them out. Choose between smoke bombs, magic, and even shuriken to fend off the advancing hordes, and answer math equations to stave them off! Math problems are customizable and offer varying levels of difficulty to cater to younger and older players. Sometimes you have to sneak math into your child's favorite games, and DragonBox is one of the sneakiest methods possible. What's more, it teaches early algebra concepts so that algebraic equations just aren't so scary later on in life! DragonBox uses colorful avatars, animals, and symbols to help make sense of difficult equations, and it's one of the most addictive games of its kind. Don't be surprised if once you pick it up you can't put it down.